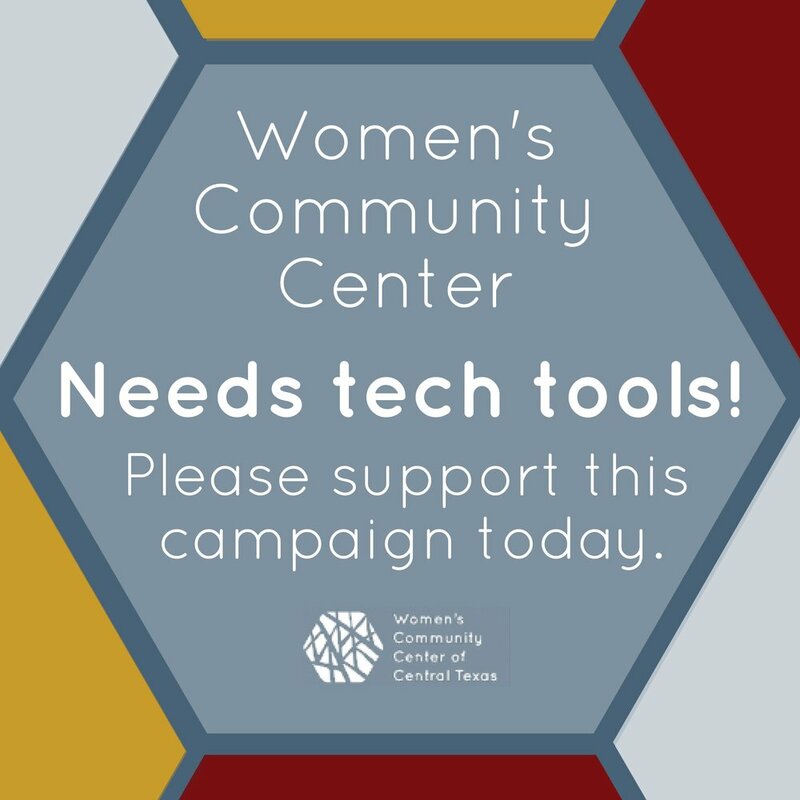 The Women’s Community Center of Central Texas (WCC) recently launched an online crowdfunding campaign – to raise $2,400 by October 15 to support the WCC Tech Tools Campaign. WCC needs the tech tools necessary to grow community and increase social impact! Please click here to help strengthen your community of empowered women. If you have already made a donation, thank you for supporting WCC’s mission of promoting the well-being of area women and girls! For all others, please hurry: WCC needs to raise $2,400 by October 15th. Your gift will help move the needle – and may even put WCC over the top! Your donation will make a difference. Thank you!